Online Orders Now is exceptional. Restaurants of all kinds, from all across the nation, are taking advantage of a wealth of features that come with our online ordering software. From websites to robust online ordering to dynamic printable menus to catering menus and sites to mobile ordering to unique web apps, our online ordering system for restaurants is a sure-fire way to catapult your restaurant into 2018’s digital marketplace. In our last post, titled, “How Much Should A Restaurant Spend On Marketing?” we looked at some general guidelines for determining marketing budget. There are plenty of factors to consider, seeing as no two restaurants and no two markets are identical — so it’s important to note that we want to help restaurant owners realize how they should be thinking about setting a marketing budget, as opposed to giving them a flat percentage and wishing them luck. We encourage you to read that post, because we broke down how to best think about allocating finances to a marketing budget with the vital distinction of a new restaurant being in a different category than an established restaurant in mind. As we mentioned, it’s much easier to hold ground than gain in it in this industry, which is why most restaurants should be thinking about allocating at least a quarter of their revenue toward marketing efforts — and even more if they are in a competitive market. Later on in today’s post, we’ll talk more about Online Orders Now, our online ordering software for restaurants, and what restaurants stand to gain from choosing us in a more specific way. But in continuing with our summer series dedicated to helping restaurants find ways to “beat the summer slump” that can sometimes affect the bottom line, we’d like to continue the conversation about restaurants and their marketing budget. Clearly, we were just scratching the surface in our previous post. And while there will be plenty of information absent from today’s post, as there is simply too much to cover when dealing with a topic this complex, we want to help our prospective restaurant-clients in any way we can. Whether they come onboard to experience the dramatic impact our restaurant food ordering systems can help them achieve or not, the fact remains we have a wealth of experience interacting with restaurants. Let’s put some of that knowledge to good use, shall we? Keep reading for a more detailed breakdown of how you should be thinking about marketing your restaurant from a budgetary standpoint. If your tables are pretty much full every day you are open, but you still find yourself scraping by to stay out of the “red,” you probably have an issue with getting the word out about your business. Sure, you might have price point and margin issues (or a range of other problems), but for the sake of conversation, let’s assume all else is equal. To write a marketing plan is to write a plan where you can visualize success. 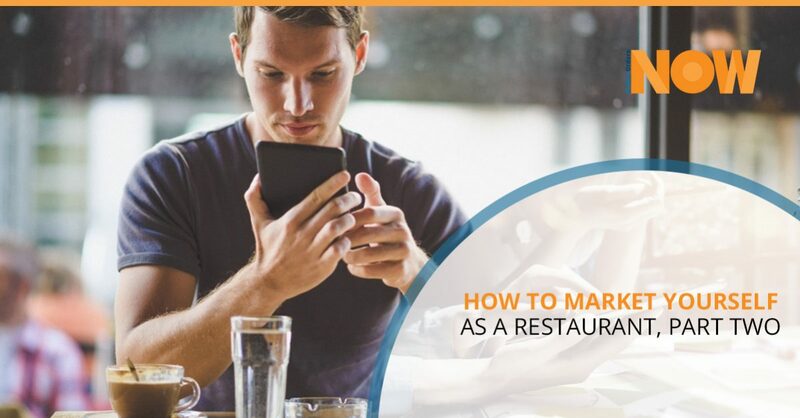 But when it comes to marketing for a restaurant, it takes more than a vague understanding of the “4 Ps” (Product, Price, Place, and Promotion) that every business student is taught in their 100-level marketing course. To implement a successful plan, you have to have an understanding of what you do well — and what you don’t. You need to understand your competition, customers, regional industry, and much more. Let’s look at a few places you can start. What Kind Of Customers Do You Have? – Do you have locals who become regulars, or are you in a touristic part of the country where you have a variety of one-time patrons? Knowing this kind of information can help you decide what kind of promotions you should implement. Likewise, do your customers usually come “solo,” in two’s, or in bigger groups? No matter what the number turns out to be, it’s in your best interest if you think of a strategy that incentivizes a customer to return with their friends. Yes, the old, refer-a-friend technique might just do the trick! How Often Do You Get Repeat Customers – This point piggybacks off of the last one. If you’ve got a customer who comes in regularly, but only once per month, try to think of them as a case study as to why they aren’t coming in more often. Sure, if your prices were cheaper you’d get more traffic, but the drawback is that you’d end up shutting up shop in a few months due to not being able to make any money. That point is not lost on us. But on the other hand, there are plenty of other ways to increase loyalty without dumping funds into media or slashing prices. In What Ways Have You Attempted To Increase Your Average Check Size? – While we are biased, we’d be remiss if we failed to mention one of the best ways to increase your average check size. Implementing online ordering software for a mobile food ordering system will almost automatically increase your average check size. Eventually, it should be in the range of 20 to 30 percent higher. Why? Folks who can order from the comfort of their own home can take the time to browse the entire menu, rather than feeling rushed in an unfamiliar, busy restaurant. Of course, there are plenty of other ways to increase your average check size that don’t involve starting up an online ordering system. Consider using discounts to increase sales, adding premium products (at higher products), using the “good, better, best” idea, or adding bundle/combo options if you are a restaurant that has a strong percentage of to-go orders. There isn’t a singular percentage of budget that you should be fastened to with regards to marketing; it should be dynamic, flexible, and representative of your current sales and sales volume. Put another way, if you know you have a busy few months ahead of you, you should be putting a proportionate amount of marketing budget toward those months. People often make the mistake of thinking that they don’t need to market because business is good. This couldn’t be further from the truth. If you are busy, that likely means there are plenty of folks who are looking for a restaurant option like yours, but you’re not reaching them. Online Orders Now is your solution for fast-tracking your restaurant into the digital marketplace. With a modernized website, mobile app, mobile site, and online ordering software that fully integrates with most every major POS system, you’ll have the ability to meet customers in the mediums they most frequently use. We hope you’ve enjoyed part two of this (now) three-part series regarding marketing budgeting for restaurants. It’s a complicated topic, and not one where we want to loosely toss about ideas. We want to be a part of your restaurant’s success, whether that involves helping you think about marketing from a general perspective or through the more specific avenue of implementing an online ordering system. In our next post, we’ll take the time to discuss specific channels of marketing, including social media, search engine marketing (SEM), community advertising, and how to balance it all out. So keep an eye out for our next post, and in the meantime, contact us to get started with your online ordering software for restaurants!